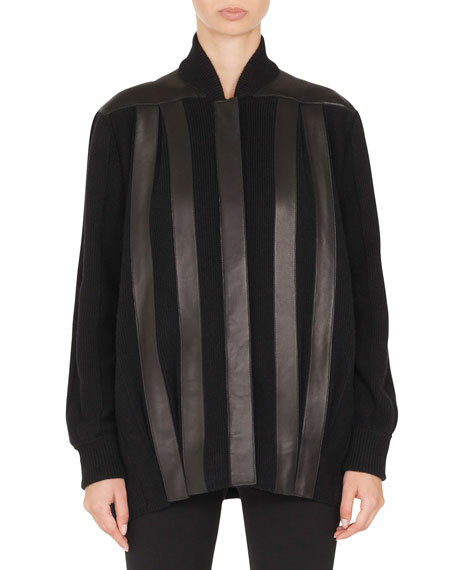 Akris ribbed-knit jacket with leather stripes. Baseball collar; concealed button front. 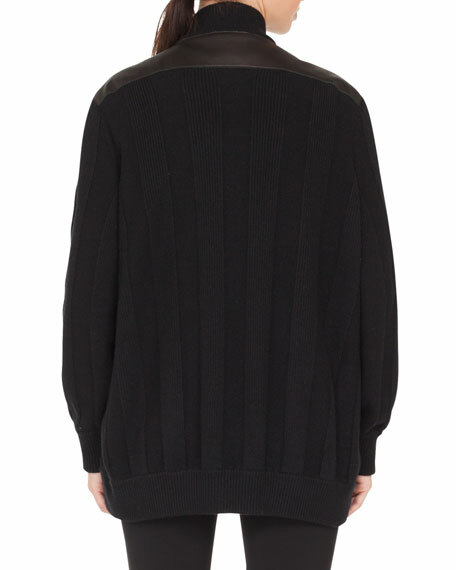 For in-store inquiries, use sku #2593227.